Multiple and simultaneous submissions: ever wondered if you should do this? A student of mine is dealing with this dilemma right now. She has work she feels is finished and ready to publish, but feels a bit nervous about submitting to more than one place at a time. But let’s back up and start with the basics — what’s the difference between the two? Multiple submissions refers to sending multiple pieces to literary magazines at the same time. This is standard for poetry, but can also work for short fiction or essays, and certainly can be a good strategy for contests — if you’re willing to pay the additional contest fees. In both cases, you do want to check the specific rules for the journals or publishers (or agents!) you’re submitting to, but increasingly both multiple and simultaneous submissions are standard. As an editor, I know the frustration of being interested in a writer’s piece only to be told it was no longer available. Why? Sometimes it was because the writer was disorganized, and hadn’t properly kept track of the work as it went out. But usually, it just meant we’d waited too long and missed our chance. When that happened, our response as an editorial team was to ask ourselves if anything was going wrong in our processes so that it was just taking too long for good work to reach us through the submission system. There was never a single incident where we held it against the writer that we couldn’t publish the work – we knew that our inability to read that piece and accept it before another publication did was the real issue. Often we reached out to encourage the writer to send us more work in the future. It happens! Granted, not all literary magazines are like that. There are those who straight up say they won’t accept multiple submissions, even in these days of online submissions. But there are fewer and fewer of these and you can reasonably not keep them on your list to submit to, or can give them one or two chances and see how it goes. Check the specific submission rules of the specific magazine or publisher you’re interested in to be sure that they will be okay with multiple and simultaneous submissions. For multiple submissions, you typically don’t need to indicate — you can just send them in if the publisher is okay with it. Be sure not to exceed their maximum number of pieces, if indicated. For simultaneous submissions, use your cover note to tell the literary magazines or publishers you’re submitting to that you are submitting to several places at the same time and promise to come back to them as soon as a piece isn’t available any more. I put this at the end of my cover note, after the info about my submission and my bio. Track your work well so you know where your pieces are submitted at all times. You can use Excel for this, or go old-school with a box of coloured index cards or just a list in a notebook. I typically print out a copy of the submission for myself, write a large sticky note with the date and places it’s been sent and keep each piece of work in its own file folder. As rejections and acceptances come in, I update the sticky note. Withdraw pieces immediately when they’ve been accepted elsewhere. Be super pleasant and polite about it. Like everything else in life, act with integrity around it and it’s unlikely you’ll have problems. 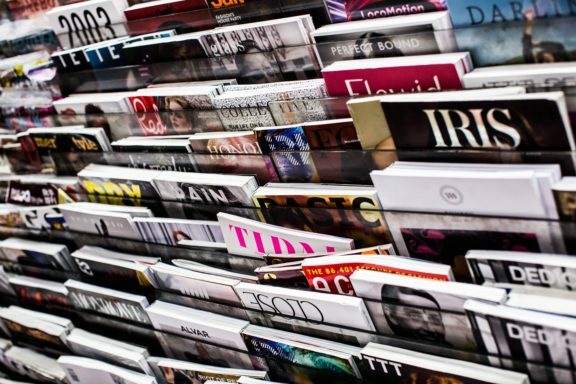 Multiple and simultaneous submissions have become the new standard and it would be a shame to hold yourself and your work back because an increasingly small minority of magazines don’t appreciate the practice. Give it a try and track the results to see how much more you’re able to publish.